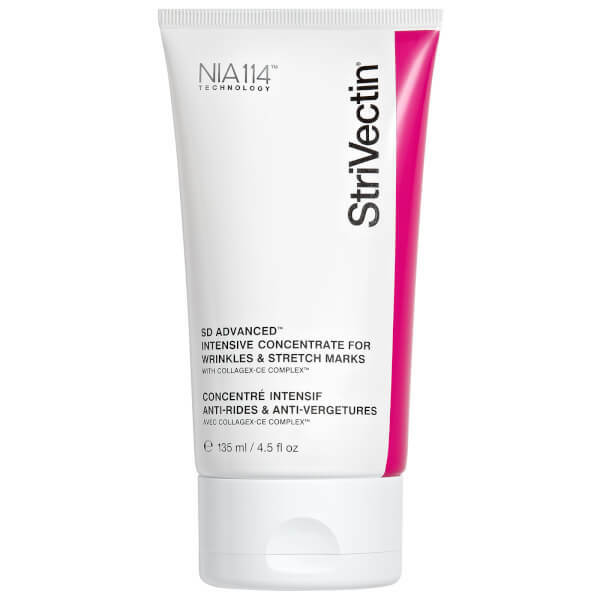 Send dryness and signs of ageing packing with the StriVectin-SD Intensive Concentrate for Stretch Marks & Wrinkles; a concentrated moisturiser that deeply hydrates skin, improves elasticity, and softens the look of wrinkles and stretch marks. Formulated with Collagex-CE Complex™, the moisture-replenishing cream specifically targets Collagen I and Collagen III (known as ‘Youth Collagen’), which together are the critical cornerstones of skin’s strength, elasticity and firmness. 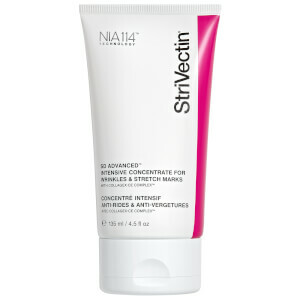 Enriched with wrinkle-transforming technologies that help to minimise wrinkle length, depth and number, the anti-ageing formula intensely nourishes and plumps skin for firmer, tighter results.